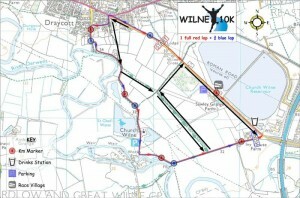 There are a number of good spectator viewing points along the scenic Wilne 10k route. As the route is a one and three-quarter laps, people who are less mobile will be able to support friends and family taking part in the race on at least one occasion. For spectators who are able to move around the route easily, there are two maps below as a suggestion – one map for spectators who want to run between viewing points and one map for spectators who want to walk between viewing points. 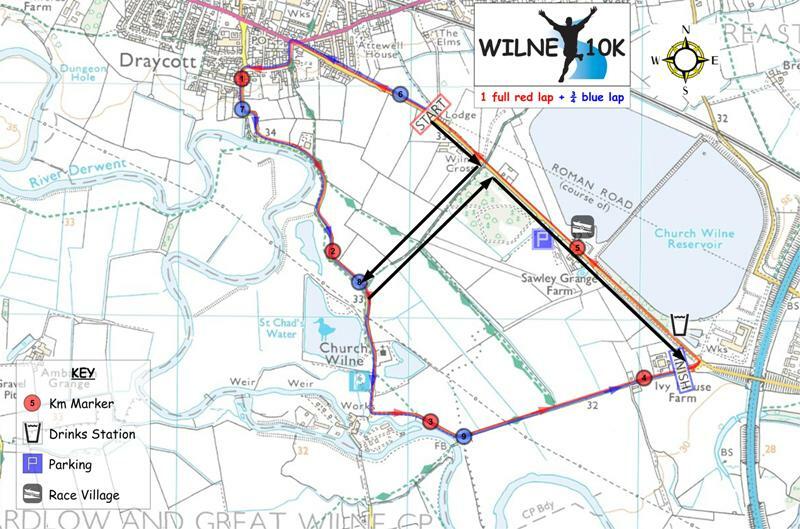 Please note that these maps are an approximate guide only and you should consider changing your route if you are supporting runners who may be spread out in the race field or if you feel you are less able to walk/run between the spectator viewing points. If you do plan to make your own spectator plan, please ensure that you do not interfere with the runners taking part in the race and listen to any marshal instruction at all times. 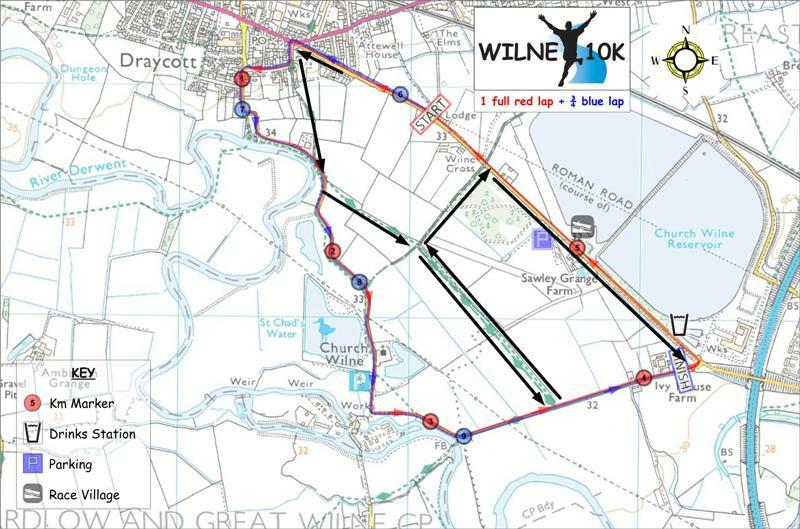 Any person or body involved from the Wilne 10k does not take responsibility for an individual’s health and well-being or any injury/illness as part of the suggested spectator maps provided above.